“Let’s say you want some advice that might help you give birth, wherever that might be. My shortest answer is: let your monkey do it.” So says the world’s most famous midwife, Ina May Gaskin. 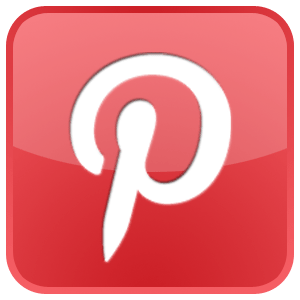 These words of wisdom which remind women that birth requires that we get our thinking brains out of the way and let our mammalian instincts take over, had a huge impact on me as I prepared for my first birth… at home. 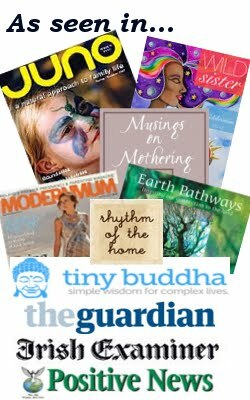 Like hundreds of thousands of women around the world her two best-selling books Spiritual Midwifery and Ina May’s Guide to Childbirth were my birth bibles. I have an even bigger, better interview with her in the summer edition of JUNO magazine. But Ina May was so generous in time and spirit that I wanted to share some of the most controversial and shocking morsels that didn’t fit the two articles I wrote, but that need to be out in the world. As well as the answers to the questions that some of you suggested I ask her! Prudery keeps some of the best, most effective midwifery care from being seen on television, because the most woman-centered care does not require that a woman keep her body covered as she labors and gives birth. At the same time, in this age of reality television, there is no such taboo keeping people from watching the abdominal and uterine incisions during a caesarean. When young women can’t see the bodily changes that permit birth over an intact perineum, they can’t even imagine that it could be possible, and many develop a pathological fear of their own bodies. This same prudery, I might add, keeps some of the best Irish sheela-na-gigs stored in the basement of the Dublin’s National Museum. 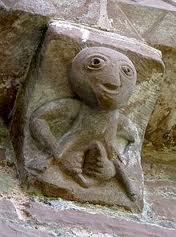 The Cavan sheela, for instance, is part of the Dublin collection, but the last time I checked, it was not on view. The Lavey sheela is another example. Replicas of the best sheela-na-gigs could be made and used as amulets or art to be displayed in birth rooms, whether in hospitals, birth centres or homes. I know from experience how much the open vulvas of the sheelas help women visualize what their own bodies can do in birth. You are a passionate advocate of the need for hospitals to report the levels of maternal deaths in the US. If figures are not reported, where do you get your statistics from? As far as I know, the US is the only wealthy country that doesn’t use the same method in all its regions for reporting a maternal death. Understand that here in the US, the 50 states are still not required to use the US Standard Death Certificate, so almost half do not, because changing would require effort and expense. Many maternal deaths are not reported as such, for a variety of reasons. An audit is not possible, since the CDC gets no names or reports of individual cases—just raw numbers from each state. I get my information from the Centers for Disease Control (CDC) in Atlanta (our national agency that receives the count of maternal deaths that take place in each state every year). In 1998, the CDC issued a short report stating that the number of maternal deaths occurring each year could be as high as three times the number officially reported. Concerned obstetricians in some states have made extra efforts to identify maternal deaths in a better way. California, New York, and Florida are examples. In each of those states, there has been a rather sharp increase in the number of maternal deaths over the last two decades. California Watch, an investigative journalism group, recently reported that California’s maternal death rate had tripled between 1996 and 2006. The New York Academy of Medicine reported that the maternal death rate for women of color in New York City had reached an incredible 79 per 100,000 (when the irreducible minimum of maternal deaths shouldn’t be higher than 2 or 3 per 100,000). And from politics to spiritual insight… can you say a little about your spiritual beliefs about birth. Every birth is sacred. I experienced the first birth that I ever had the privilege to observe as a powerful spiritual event—one that revealed a dimension that I hadn’t experienced previously. Every birth I attend has this dimension, no matter how many I attend, and I continue to find it amazing that there is no mention of spiritual energy in the textbooks that are written for midwives, physicians, and nurses. And finally, many women have asked me to ask you if you have ever considered establishing more birthing centres based on the model of the Farm? I seem to have enough projects without attempting to replicate anywhere else what we’ve accomplished here. I think it’s hard for people who live in countries where midwives have always been accepted as a necessary part of maternity care to imagine how difficult it is to bring back midwifery once a society has dispensed with it. 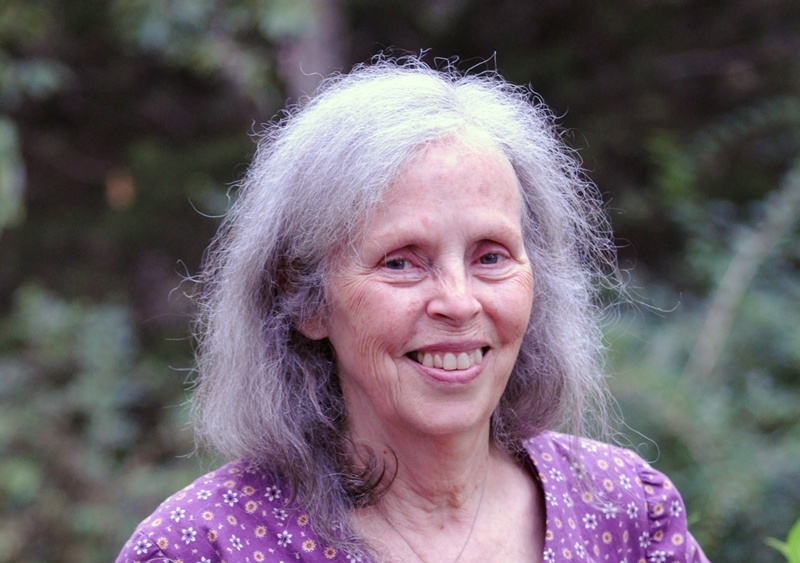 This entry was posted in Interviews and tagged birth, heroines, Ina May Gaskin, interview, natural birth, pregnancy on March 30, 2012 by Lucy H. Pearce.